He doesn’t know much about his father as a politician but what little he does were through his father’s correspondence with the country’s leaders back in the 1950s. 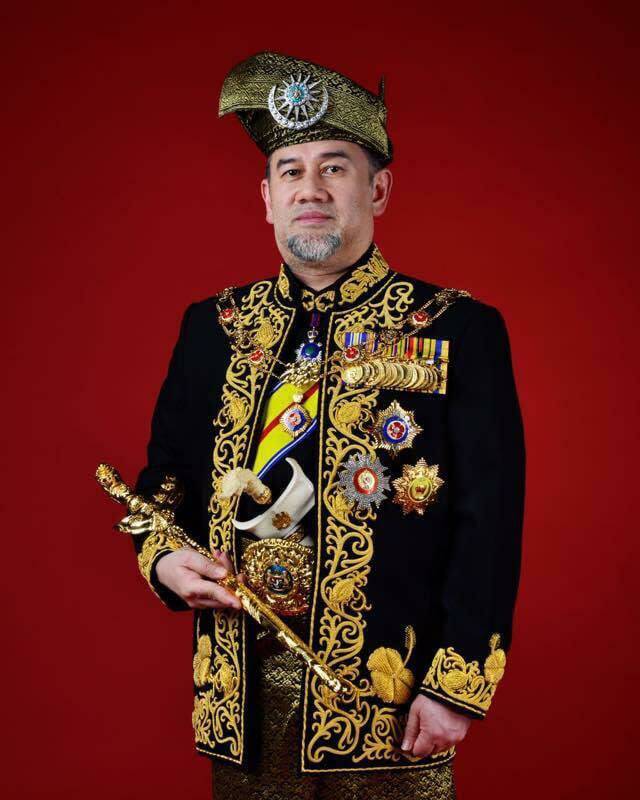 Tengku Putra Haron Aminurrashid Jumat found out that his late father, Tengku Abdul Hamid Jumat, was an important man in his days - New Sunday Times, August 16 2009. In my family, the title Tengku was to be used only three times in our entire lives; in birth, wedding and death. This was a directive from my late grandfather, whom I was named after. That would explain why my late father was only known as Inche Abdul Hamid Jumat (Datuk in 1958 and later Tan Sri when it was changed bearing the same Order of Panglima Mangku Negara) although it was Tengku Abdul Hamid Jumat in his official documents. It was monotonous having to explain that fact over and over again to people who didn’t know, especially after his death. When he was alive, I remembered him showing me a file next to the Merdeka albums that I’ve seen before. He said that I was to keep it safely in my custody as it contained important correspondences between him and the Prime Minister during the Independence. I failed to realise then why I was given the task of keeping it safe while the rest of the documents were given to my siblings to administer. Being the only politician in the family today, I now understand his reasoning and can appreciate his foresight. I never knew my father as a politician. When I was born, he was already a diplomat for the Malaysian government. Whatever I know of him before 1963 were from the said letters to and from the then Prime Minister Tunku Abdul Rahman and his successor Tun Abdul Razak Hussein, both of whom he served with much pride. After coming to terms with his sudden demise due to cardiac arrest in 1978, I looked into the file and saw letters that are now more than 50 years old. 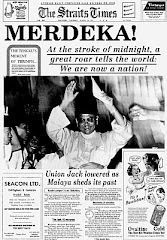 Though I’ve seen the Merdeka photos before, it didn’t make much sense until I coupled them with the letters from the Tunku, some directly relating to the events like the Baling Talks with Chin Peng, and matters relating to Singapore and its imminent leader Lee Kuan Yew. It was then that I discovered his active involvement in the history of this nation. 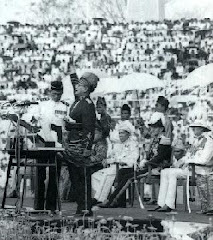 He was on the steps of the Istana Besar in Johor Baru as head and representing Singapore when UMNO was formed in 1946. He was vice head of UMNO Malaya (vice president in today’s term, when it was the first time they elected three “Naib yang DiPertua” of UMNO after maintaining only one the previous years) at the age of 38 in the 1950s. 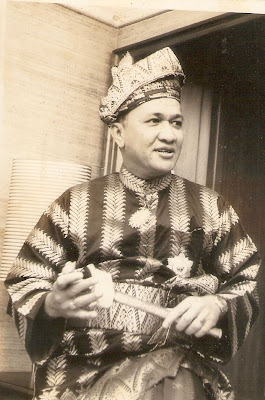 It was a post he held for two terms.He was also the first Malay minister, deputy chief minister and at one time acting chief minister of Singapore between 1955-59. 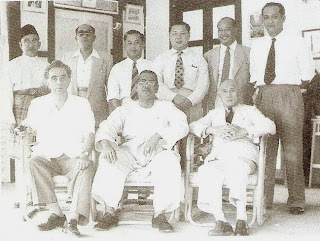 Front row L-R, Abdul Hamid Jumat, Tunku Abdul Rahman, David Marshall, Tun Abdul Razak, Tun Dr Ismail. Following that, he was appointed Malaysian ambassador to Germany 1963; The Philippines 1965; Egypt, Lebanon and Morocco in 1968; and Holland, Belgium, Denmark and Luxembourg until 1973. He was offered London as his last posting but respectfully asked Razak’s permission to return to Malaysia to enter the business fraternity. 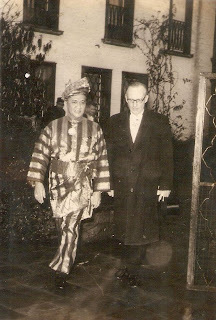 Tan Sri Tengku Abdul Hamid Jumat and a German official after presenting his credentials to the then West German Head of State. I found one letter dated November 9 1957 from the Tunku about the impending meeting with Chin Peng then. In the letter, he thanked my late father for supporting his action to meet with Chin Peng after reading from a report in the newspapers on the same day. He said the others in the Federation were not keen on the meeting, adding that this may be the reason why Chin Peng’s letter to him took a while to finally reach his hands. He asked that my father appreciate the sensitivity of the situation and understand if he nor Lim Yew Hock (Singapore second chief minister from 1956 to 1959) were invited to join in the Baling Talks with Chin Peng. The Tunku eventually did invite him along with Mr David Marshall from Singapore. It was while serving as a Malaysian diplomat in Germany that Tunku Abdul Rahman wrote a letter dated September 3 1965, offering my father citizenship and to continue in the service of the government. It also had some of the Tunku’s very private thoughts on Lee Kuan Yew at the time, some of which many would agree with today. I was alerted by a friend whom I admire very much that the matter of my father’s ambassadorship and Lim as high commissioner was raised extensively in Parliament back then. 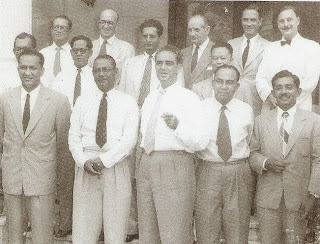 Members, had during the November 10 1965 sitting, questioned the Prime Minister on the rationale of having foreigners serving as diplomats for Malaysia. They had failed to realise then that when the two men were appointed to head the respective missions abroad, they were both Malaysian citizens. When the abrupt decision was made to eject Singapore from Malaysia, the rightful thing to do was to ask them to make the choice of applying to become citizens of Malaysia and continue to be in the service of the Government or remain as Singaporeans. They also didn’t know that while they were bringing the matter up in Parliament, my father under instructions from Kuala Lumpur, had successfully negotiated a DM15 million loan from the German government to be used for our country’s infrastructure. He was a loyal servant to the Malaysian government. 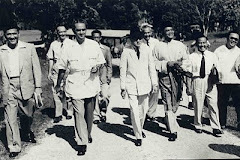 The decision to expel Singapore from Malaysia, according to one letter from the Tunku, remained only among four crucial members of the Cabinet until it was announced. Such was the way it was then in contrast with today when matters of national importance tend to be leaked from high offices initiating irresponsible coverage and speculation in the media and blogosphere. My late father was totally loyal and very much indebted to the late Tunku and Razak. The latter died two years before my father and the Tunku passed on much later after that. I remember when Tun was gravely ill in London, my sister Hasnah, who was studying there, was ordered by my father to station herself at the hospital to relay the developments via telephone reverse charged. One evening we received a telephone call at an unusual hour for our family. My father rushed to the phone when I announced that the operator was on the line asking if we would accept the call charges from London. 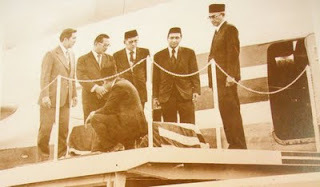 Tun Abdul Razak's remains arrive from London on MAS. It was indeed my sister bearing unpleasant news. Razak had passed away. My father slumped on the steps of the staircase next to the telephone table and that was the first and only time I ever saw him cry, sobbing like a child. I was told by my mother later that he didn’t even cry at his father’s funeral yet did so for the man who had helped our family much and more importantly, done so for his people in the very little time that he had as Prime Minister of a young nation. Indeed, all the Malay leaders then started very young but matured rather rapidly. The Singapore television aired the sad news not long after we received the call but it was only officially announced by the then deputy Prime Minister Datuk Hussein Onn hours after that through RTM. Earlier in my life, I had despised my late father for taking me out of a private school abroad and putting me into a local government school with 55 students in one class, humid weather with only one fan in the middle of the ceiling furnished with wooden tables that had holes in them with a “ bulls-eye “ drawn in the centre by mischevious students playing darts with the Maths instrument called the compass. Back then, teachers screamed at the students, with eyes staring hard and wide while holding a short stick. It was a culture shock of the highest magnitude for me. 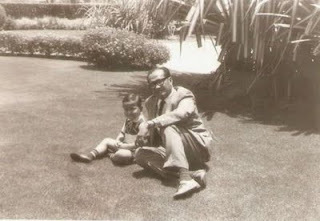 My father and I on the grounds of the Malaysian Residence in Manila. My father also made me bring home a different friend each weekend for lunch who came from a poor family background. I am now grateful for it as it has taught me how to eat, live and breathe with my own people enabling me to understand their troubles and serve them naturally without having to fake it like some children of renowned former politicians following in their father and grandfather’s footsteps today. It is a proud thing for me to think that the blood of an UMNO warrior flows through my veins, but truth be told, I learnt about UMNO politics and the mechanics of the elections from the branch and village leaders in Pulai Johor Baru, whom I’ve since considered as my family. The writer, a party loyalist and a servant of the people of Pulai, Johor Bahru. I made my way up in the division the hard way without the blessings of my division leader then, but made peace with him after I won against all odds, in the name of party unity. I also constantly beg forgiveness from my mother’s soul for going against her wish for her children to avoid politics. It was evident from her reaction then, that UMNO politics at that point in time was not much different than it is today, contrary to the general consensus. If indeed this is my calling, then by God, let me remain here in politics, where I am most comfortable. NB: Click on the title to get the published version in the New Sunday Times. Bravo Sir. 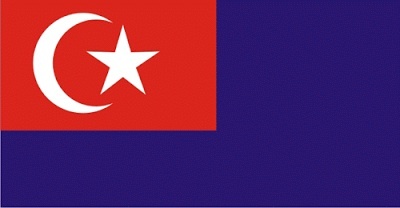 You have made the spirit of Merdeka awake in one of our each citizens, especially Malay. Congratulations. The way you spin and narrative the whole chapter of this history are even better than Shakespeer!!!!!! Thank you Anonymous. It's a good thing I have all the documents to back up my spin huh? Semangat lah...macam ni baru betul pemimpin berjuang bersama2 rakyat..Raut muka,senyum dan badan macam dulu jugak stil x berubah tapi semangat semakin MEMBARA DAN BERKOBAR2..
Tiza. Terima kasih. Baguslah, nampaknya kita semuanya sudah kembali membaca New Straits Times semula selepas ianya dilacuri oleh orang-orang yang tidak bertanggungjawab yang telah dilantik oleh pemimpin kita yang sama tidak bertanggungjawab sebelum Dato' Sri Najib Razak. I'll send them to you soon and make sure your children know about the history of UMNO not only because their great-grandfather was its founder but also because UMNO was and still is the party that will bring salvation to this great nation with the will and blessings of Allah. Hopefully I will visit you after I take the family to the Holy Land Insh'Allah. Much love to you and the family in Houston. Yeee Haaaa! Read your article in the papers as well as the uncut version. There are so much uninspiring write ups in the past of former leaders, this is different. Leaders of today are beyond comparison with those during independence days. Their sacrifices are immeasurable and their rewards minimal all for the sake of the nation. Politicians today from both divide should study history and emulate the past leaders. What baffles me is that leaders today always remind the youth and students to know the struggles of independence when in actual fact they need educating themselves on this matter! Just ask Noh Omar, Khalid Nordin, Shaziman, Ong Tee Kiat, T Mohan etc from BN, and those leaders who crave demonstrating from Pakatan with regards to the struggle and sacrifices of the past leaders and you'll get zilch from them! I wonder if this part of history is in the school syllabus. Or is the history syllabus our student study all about Mahathir's Malaysia?! You should ask your kids what history they are learning in school. Unless your kids are studying overseas like our Ministers kids? Anyway its a good article. 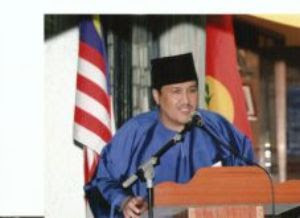 Oh yeah...someone told me your dad was the first UMNO member to be a candidate in an election. Correct me if i'm wrong. That's history man! Yes it seems many Malaysians have returned to subscribing to The New Straits Times now. I know that for a fact because many people have come up to me from nowhere to say that they liked my article. I never realized that people who read articles on Sundays actually remember them as well as the pictures in them well after a few days. I was in Singapore yesterday for a business trip but stopped to visit HRH the Sultan of Kelantan at Mount Elizabeth. The High Commission officials and the Royal entourage acknowledged the article too showing that everyone, from the rakyat to the palace are hungering for real and sincere leadership of those pre-independence days. Insh'Allah, the son of Tun Razak will bring that sincere trait back into the leadership. I personally was inspired by HRH the Raja Perempuan with her sharp mind on politics and global economics. Yes Temasikkid, I too was informed of the same about my father being the first UMNO elected official in an open election because Singapore had their elections first. 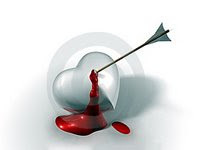 But I cannot verify this unlike the facts in the letters that I referred to, so I opted to leave that fact out to maintain credence in my newspaper article and blog. Thank you for your kind observation. Your father was never accorded the promininent position anywhere in Malaysian or UMNO's history books.Tough he played prominent role during Tunku's and Razak's time, succeeding UMNO leaders never quoted a word of your father.All that was said about your family was that :" you all came from Singapore" .No wonder your mother forbade you to enter politics.The last three decades of UMNO politics only created leaders who enriched themselves and families first.Their power was preserved by amending the rules for no contest etc.UMNO needs to reform not simply passing the baton from father to son.Father - son prodigy in politics also seen in local opposition parties, but then they didn't obtain that power or position that easily. Your father is not around to push you forward.So yours going to be an uphill task. Good luck to you Bro. Thank you for pointing out the obvious about my late father not being recognized in any of the Malaysian or UMNO history books. Our family is contented with the fact that he played a role in the Independence of this Nation and served the Malays, UMNO and Malaysia, not Singapore. It's fine if he isn't recognized for his deeds, after all, ingratitude is fast becoming the tradition among the Malays of today. What happened to Tun Dr Mahathir the last 5 years before Najib Razak is a classic example of the newfound trait and pride of our people. I've never banked on my father's fine reputation to nudge on my political career. If you read my article carefully, you'll find that I knew him as a diplomat, not a politician. I even found out about his position in UMNO through one of the UMNO reading materials highlighting past Vice Presidents long after I embarked and have been successful in my UMNO Divisional elections. If my father is still around old chap, I'd probably still be a stock-broker or heading several of his companies right now. I wouldn't be in politics. As I have said, I learnt about the party not from my late father, but from kampong folks who have supported me ever since. I'm happy where I am serving the Malays in my small way, so I don't think it's an uphill task unless I aspire to reach for the moon. Thank you for your good wishes but I don't need luck to serve my people. Luck is for those who consider UMNO as a Casino hoping to hit the Jackpot. Right now anyway, with the way the party selects her candidates, UMNO, you and the Rakyat need luck more than I do. I'm happy where I am serving right now. If I'm not chosen to serve any higher, I assure you it's certainly not going to be my loss. Semoga perjuangan ini akan dapat membebaskan MELAYU yang semakin "bebas-terbabas" dan sanggup mengorbankan apa yang telah wira-wira terdahulu merdekakan. insya ALLAH, kami akan bersama2 di dalam perjuangan ini dan mudah2an kita sentiasa di dalam TAQWA. "MERDEKA yang bebas, bukan bebas yang terbabas! Moga ALLAH merdekakan akal fikiran dan hati kita dan sentiasa dalam rahmatNYA,ameen ya RAAB"
Salam kemerdekaan buat semua pejuang Kemerdekaan! Terima Kasih MHJ diatas doa anda itu. Aak bangsa kita sudah mula terjerumus didalam aktiviti2 yang tidak membawa manafaat kepada bangsanya sendiri. Kita berdoa agar pemimpin2 Melayu kita dapat mengambil tindakan yang drastik demi untuk masa depan orang Melayu sebelum kita dijajah semula. 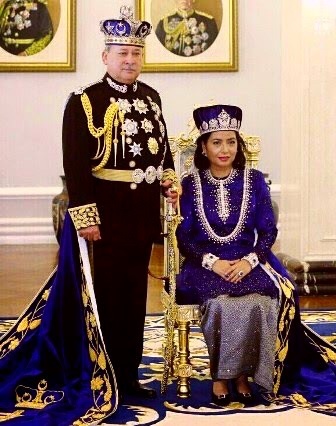 Al-Fatihah untuk para pejuang Kemerdekaan kita yang telah mewariskan Negara yang bebas dan kedudukan Melayu yang tinggi kepada kita hari ini. Salam.. adakah Tengku punye bonda ialah Puan Sri Kartini?